Come with us on an individual private Berlin city tour with your tour group on your desired date from the starting point of your choice; for example directly from your hotel. Exits, photo stops and small walks are included. Alternatively undertake a Berlin walking tour. 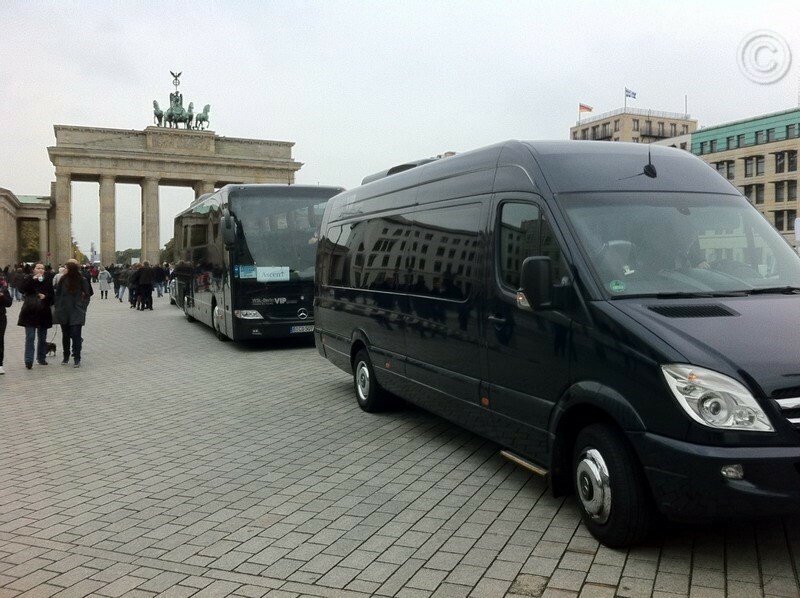 3 hour guided Berlin city tour depending on the size of your group in a minivan, small or full size motor coach. Large 4 hour Berlin half day tour, Berlin City Night Tour or combined Berlin city tour with river cruise. Guided Berlin walking tours perfect for tour groups up to about 25 participants. The New Berlin - the Historic Berlin Tour - the Berlin Wall Border Walk or the large All-In-One Berlin Walking Tour. You travel with your group in your own coach to Berlin? Your Berlin City Tour Guide steps on and accompanies you and your tour group with expert explanation. Come with us on a guided classical Berlin city tour on the desired date from the starting point of your choice; e.g. directly from your Berlin hotel in the center West or East. 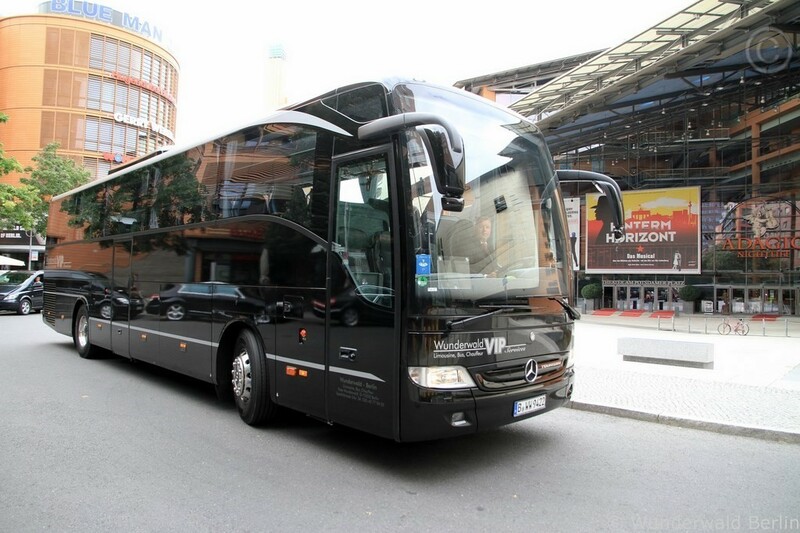 Modern first-class coaches, panoramic minibuses or minivans for any occasion; for example for a Berlin airport transfer or a shuttle ride from the hotel to a restaurant, theater or to your conference center. Charter a comfortable vehicle to suit your travel arrangements. Cultural highlights wherever you look. A cultural and historical Berlin city tour reveals the city in all its diversity; history, present and future. Like under a magnifying glass the whole Berlin diversity is united during the city tour. A city tour touches in its course not only groundbreaking new architecture & noteworthy attractions but also important places of politics and current affairs. Discover the most charming sights of Berlin on the route and exceptional Berlin highlights. Our Berlin sightseeing tours are wonderful for national and international tourists, company outings, tour operators, travel agencies, associations, clubs, and coach tour operators, for events & conferences, family gatherings, school trips and study trips and for tour groups of all sizes.